The Arts Initiative supports a global community of arts educators through collaborative alliances with state, national and international organizations advancing the daily impact of the arts on the city of Columbus. The Arts Initiative at Ohio State serves as an umbrella for multiple aspects of the arts on and off campus and facilitates opportunities for faculty and students to exhibit and perform beyond the university community. The Arts Initiative establishes connections with local, national and international arts organizations, companies, institutions and professionals in order to advance the arts community in the greater Columbus area. These alliances provide opportunities for students, faculty, staff and artists to cultivate their own relationships and experiences beyond the university community. 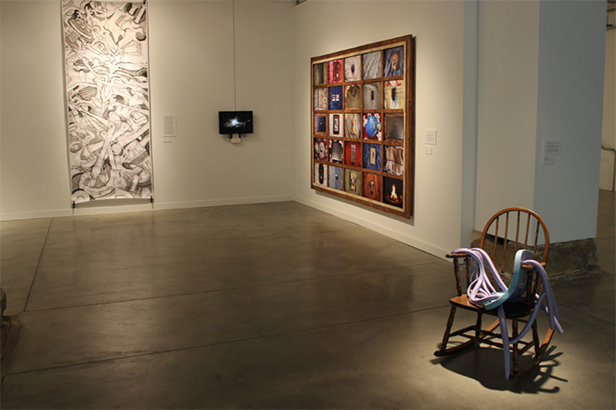 Hopkins Hall Gallery provides accessible professional exhibitions for The Ohio State University community, and exhibition opportunities for students in the visual arts. Hopkins Hall Gallery’s location in the heart of the Ohio State campus, and in the main lobby of Hopkins Hall, opens the doors for peer inspiration, collaboration and growth.